Cool worldbuilding, compelling main character, though a secondary character steals the show. I was a little disturbed by the hero's attitude toward destroying souls, though. 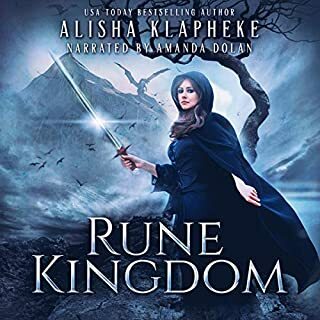 There's some fascinating world building surrounding different types of rune magic, and an action-packed story told at breakneck pace. 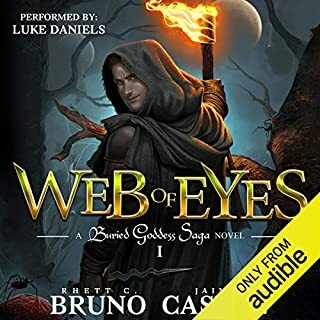 I saw an early cover for Rhett C. Bruno and Jaime Castle’s Web of Eyes, and knew I wanted to eventually read it. While the new covers each feature one of the three main characters, the original had all three: a warrior, rogue or ranger, and elf mage, plus an ominous drider/Lolth figure (if you’re on this blog, you probably don’t need to be told that this is a centaur, only the lower body is a spider instead of a horse) looming in the background. It screamed heroic fantasy with a Dungeons and Dragons flair. What I did not expect when reading it was a fantasy version of 48 Hours—the iconic comedy with Eddie Murphy and Nick Nolte as a cop and a criminal who are forced together, and mayhem and hilarity ensue. The stick-in-the-mud knight and mischievous rogue partnering together is nothing new to fantasy, but I cannot think of one where it is done with better flair. Thornton is head of the king’s elite guards, Eeyore in his pessimistic disposition, Joan of Arc in his religious fervor, and Rasputin in his unflappable determination. Coming from a humble birth, he is utterly devoted to the king who rose him up out of poverty, and totally faithful to the state religion. His foil is the thief, Whitney, who is something of a cross between Danny Ocean and Robin Hood: the titular figure of Oceans 11, because he comes up with outrageous plans where he is always two steps ahead, yet can improvise when plans inevitably go south; and Robin Hood in that he essentially has a heart of gold, motivated more by the challenge and the desire for infamy, than by wealth. With his flamboyance, drama, and snappy dialog, Whitney owns the pages to the point where the story doesn’t even matter. But oh, what a story. The king is dying, and enemies are circling. His son is incompetent since being cursed by the foreign queen’s warlock brother. When the king dies and the prince falls comatose, it is up to Thornton to recover a doll which supposedly houses the prince’s soul. With no idea of where to start, he reluctantly recruits Whitney to help. What follows is twists and turns, where no mansion or fortress is safe from burning down; and it turns out there is more to the religion than the fervent Thornton wants to believe. The middle of the tale, where the two go their separate ways for a time, it gets a bit muddled, and I do feel the pacing lost some of its momentum. Still, it moves the plot forward, with Whitney reuniting with his childhood friend, the elf magic-user, Sora. She’s a cutter; inasmuch she needs blood to funnel her magic in the vein (see what I did there?) of Aliette de Bodard’s magic system in Servant of the Underworld. They all reunite as the plot threads weave together into a web, for a creepy, yet explosive climax, worthy of these characters’ chemistry. Where Web of Eyes really stood out to me was the distinct narrative voices. The authors capture Thornton’s dour inner monologue, and Whitney’s flamboyance. I hope Sora turns out to be just as unique if she turns out to be a POV character in books two and three. Where Web of Eyes came up just a little short for me was the worldbuilding. It’s a prototypical medieval setting, with rebellions, plotting, and a pantheistic religion. The magic system doesn’t break new ground, at least not from what I could tell in book one. Still, Web of Eyes was thoroughly enjoyable and made honorable mention in my Top 10 Fantasy Reads of 2018. I rate it a 4.5. Note: the narrator nails Torsten's and Whitney's voices; I'm not as impressed with Sora's. Still, excellent delivery. 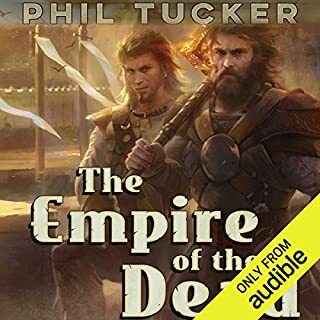 Still bruised and heartbroken from their last calamitous quest, Gorm Ingerson and his band of washed-up heroes try to make amends for the orcs they accidentally betrayed. But justice is put on hold when an old foe marches to the city gates. Gorm is horrified to discover a liche pitching the frightened city-dwellers on the merits of the undead lifestyle...at the head of a corpse army. To save the city from high-pressure sales tactics and an inevitable siege, the dwarf warrior and his misfit band hatch a harebrained scheme that lands them at the top of the king’s kill list. 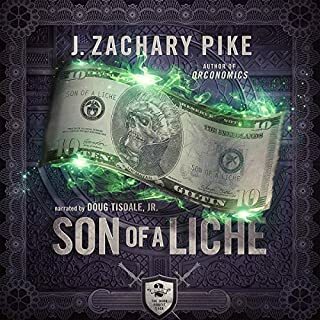 Son of a Liche is even better than Orconomics, which is really saying something considering how brilliant Book 1 was. 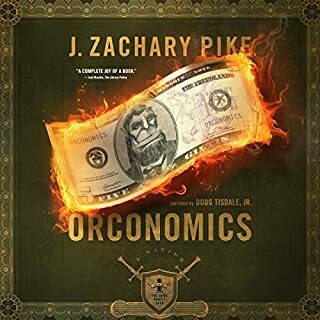 This is one of the most brilliant stories I've ever read, a cross between litRPG and a lesson in mortgage-backed securities. The narrator just nails it with comedic timing. Two brilliant POV characters with distinct narrative voices, which the narrator just hits out of the park. A Seer, a spy, and the rebellion that will flip their world upside down. Outlander meets the Mortal Instruments in this romantic fantasy. 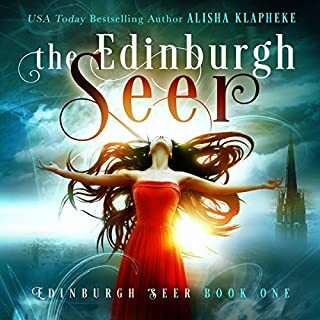 Get USA Today best-selling author Alisha Klapheke's most recent release today! 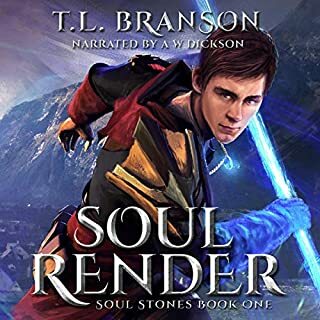 This alternate Earth urban fantasy has great characters and wonderful writing. The narrator does great accents, though I do feel she was inconsistent with some of them at times. Born in the middle of nowhere, Yaqian, a little embroidery girl from Hunan Province, finds her way to the imperial court, a place of intrigue, desire, and treachery. From the bed of an Emperor, the heart of a Prince, and the right side of an Empress, Yaqian weaves her way through the most turbulent decades of China's history and witnesses the fall of the Qing Dynasty. If you could sum up Threads of Silk in three words, what would they be? The primary character was so adorable and compelling. Which character – as performed by Leanne Yau – was your favorite? If you could take any character from Threads of Silk out to dinner, who would it be and why? Empress Cixi, because I sure would want to know what is really going through her head. 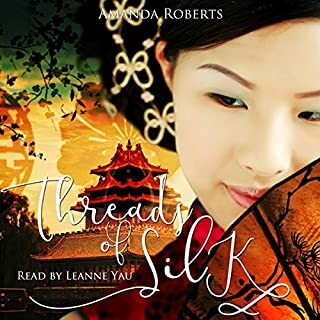 As a reader, I thoroughly enjoyed the engaging storytelling in Threads of Silk. As someone who appreciates history, my enjoyment was tempered by a mostly one-sided, positive view of a generally reviled historical figure. Told through the eyes of fictional Yang Yaqian, the story covers the turbulent end of China’s Qing Dynasty. From the research into everything from embroidery to cultural customs to history, the author weaves Yaqian’s personal joys and tribulations, into key events of the mid-to-late 19the century. She’s stubborn and courageous, smart and dutiful. Her innocence and humble origins, as well as her collection of mementos from her important relationships, make her relatable as she rises to palace embroiderer for Empress Cixi. The tying of all those threads made for a satisfying end. If I were to judge solely on the merits of storytelling, Threads of Silk would be a hands-down 5+ stars. However, as historical fiction, historical inaccuracies can’t be ignored. The First Sino-Japanese war is off by a year. The United States is noted as China’s ally, without mention of the Unequal Treaties. The Chinese Exclusion Act is interpreted as a blanket ban. Yaqian is amazed by the British’s multi-story homes, when there were already many in China. Yet these are issues which can be rationalized by Yaqian’s narrative point of view. More concerning to me is the glowing light in which Empress Cixi is portrayed. Though I am willing to accept that history, as written by men, is probably unfair in its absolute vilification of the empress, a complete opposite account made me scratch my head. All the praise Cixi receives in Threads of Silk is hard to rationalize with the marble boat, built with funds earmarked for the Chinese Navy, still sitting in the Summer Palace. I have reached out to the author, who has recommended a recent biography by Jung Chang.